Every day, your expertise, reputation and business are on the line. With so much at stake, you have no room for guesswork. That’s why InEight® construction project management software is tested and proven on actual job sites before it's used on yours. We Built Confidence Into Our Software. InEight's mission is to provide you with “proven project certainty.” We bring more than 130 years of construction and engineering expertise of Kiewit to our technology solutions, plus three decades of experience in providing the who’s who of the industry with open, innovative and standards-based technology solutions. InEight helps you manage any aspect of a project, from concept to completion and beyond. Choose the products that help you better visualize, estimate, manage, control and more, today. Then, easily expand your solutions to address other construction challenges as you face them. InEight streamlines and connects your project data in real time. More than greater visibility, this gives you true insight into managing time, resources and costs. Less risk, fewer surprises — now you’re ready to take your business to the next level. "InEight construction project management software solutions have helped us improve field productivity by 15 percent and reduce staff-to-craft ratio by nearly 30 percent." 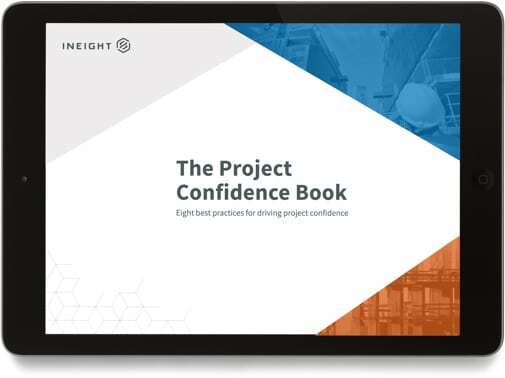 "We make better project execution decisions with InEight software because we’re working from the most accurate and up-to-date information from the project site." "Using InEight Plan and Progress, TIC realized a 90 percent savings in time required for payroll processing." "The preciseness we get from InEight provides the confidence we need. In today’s competitive market, there’s no room for errors in our estimates." "InEight provides an enterprise platform that standardizes our estimation and controls processes." Download our e-book and discover the questions you should be asking about construction project management software.